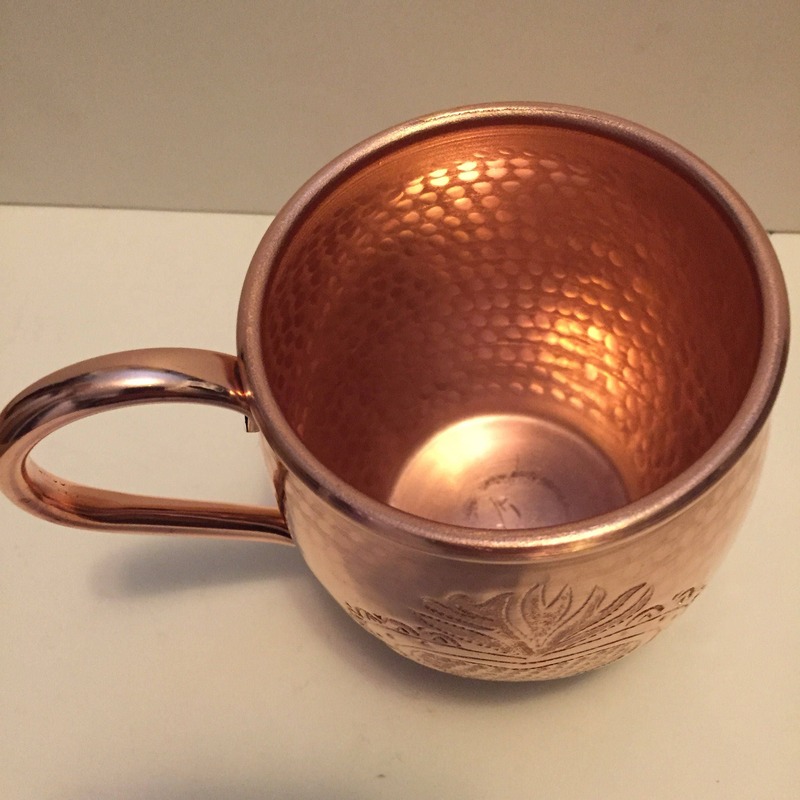 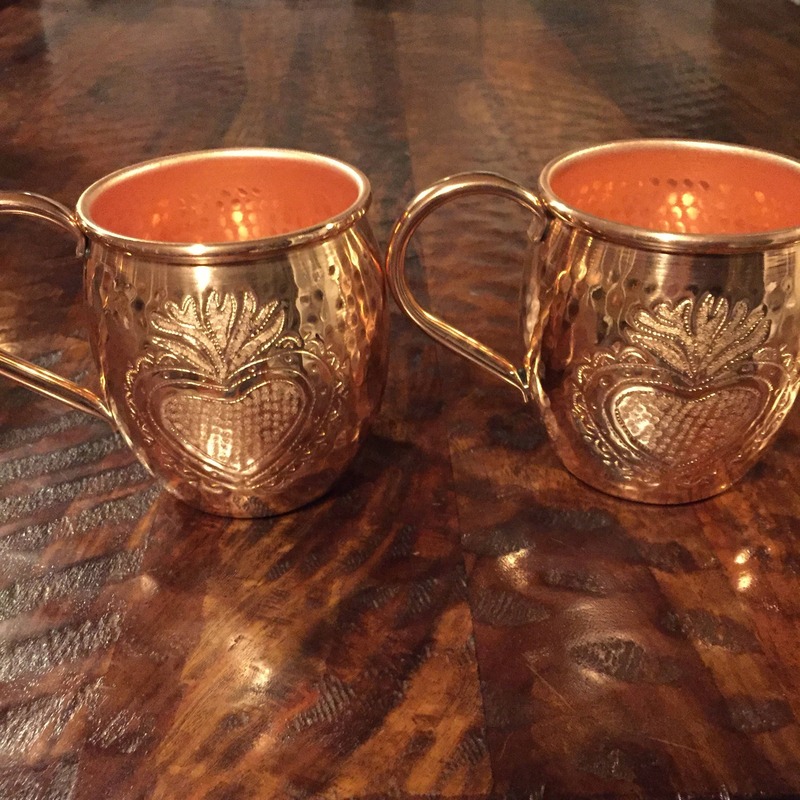 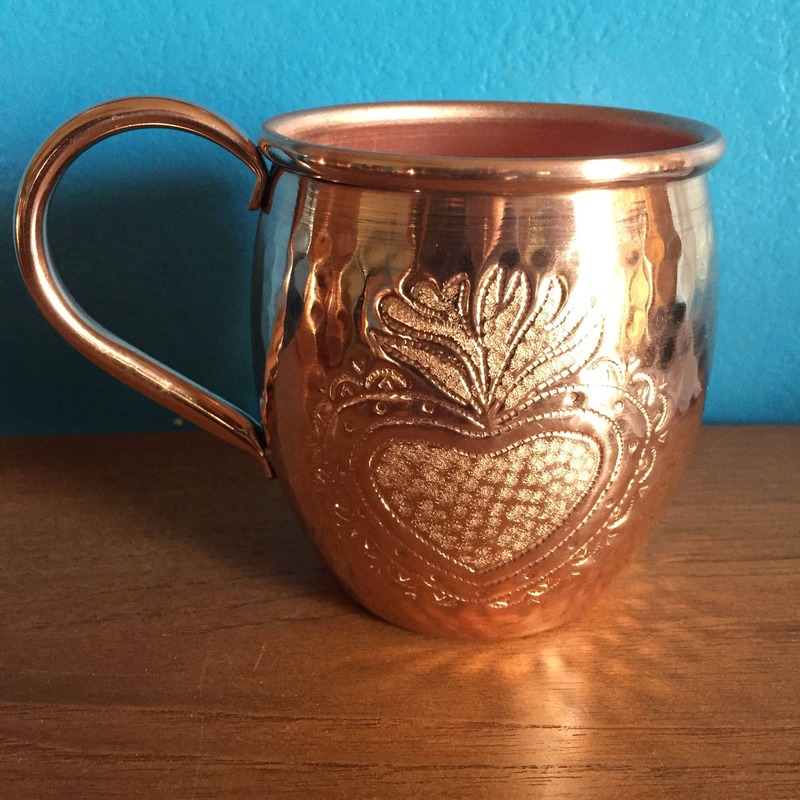 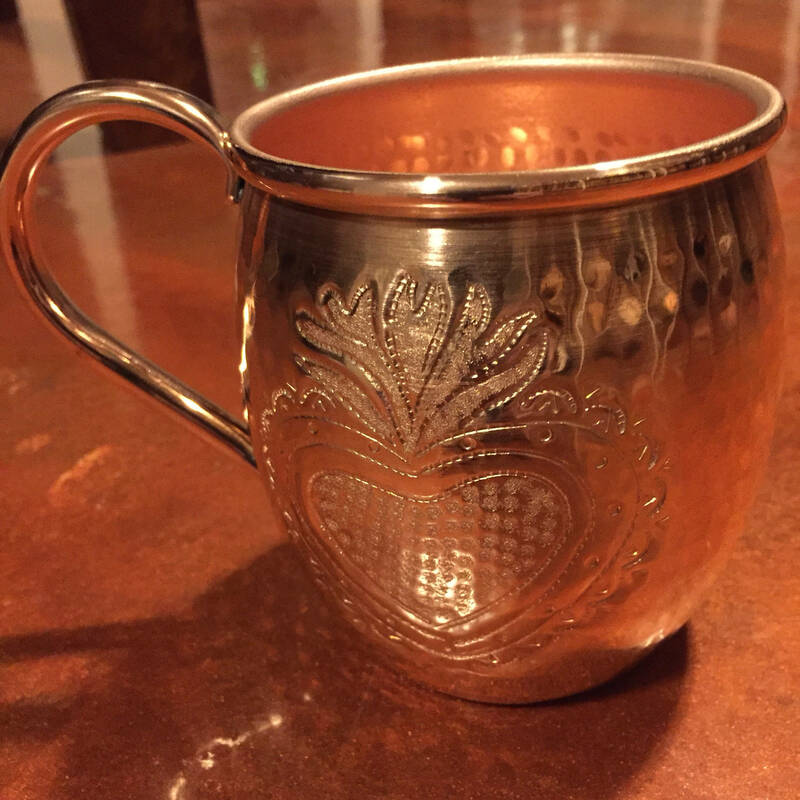 16oz Moscow Mule Copper Mug, 100% copper, hammered, and hand crafted. 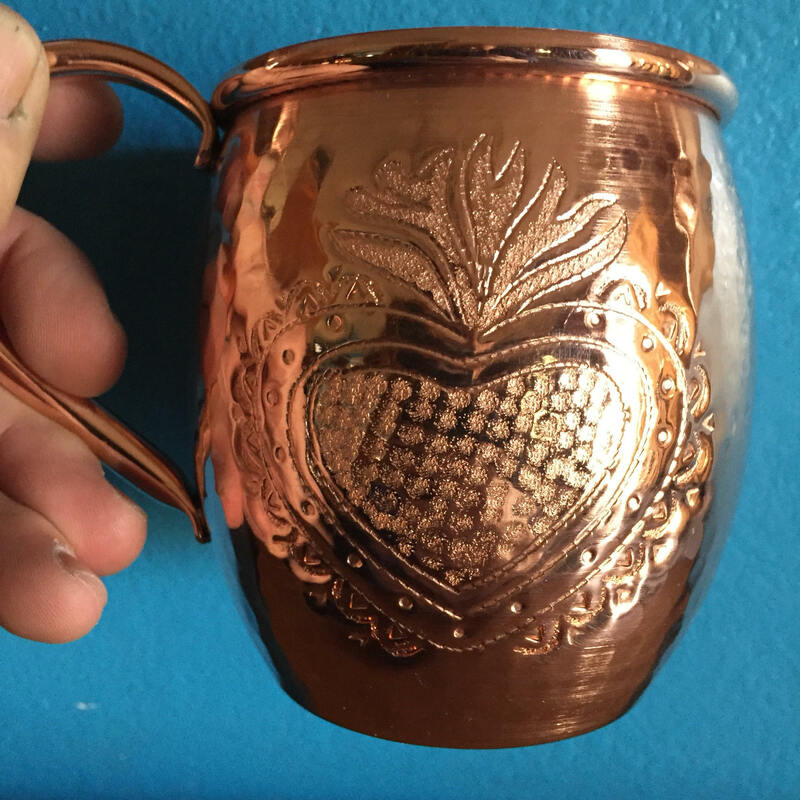 3 1/2 inches wide x 4 inches tall (not including handle). 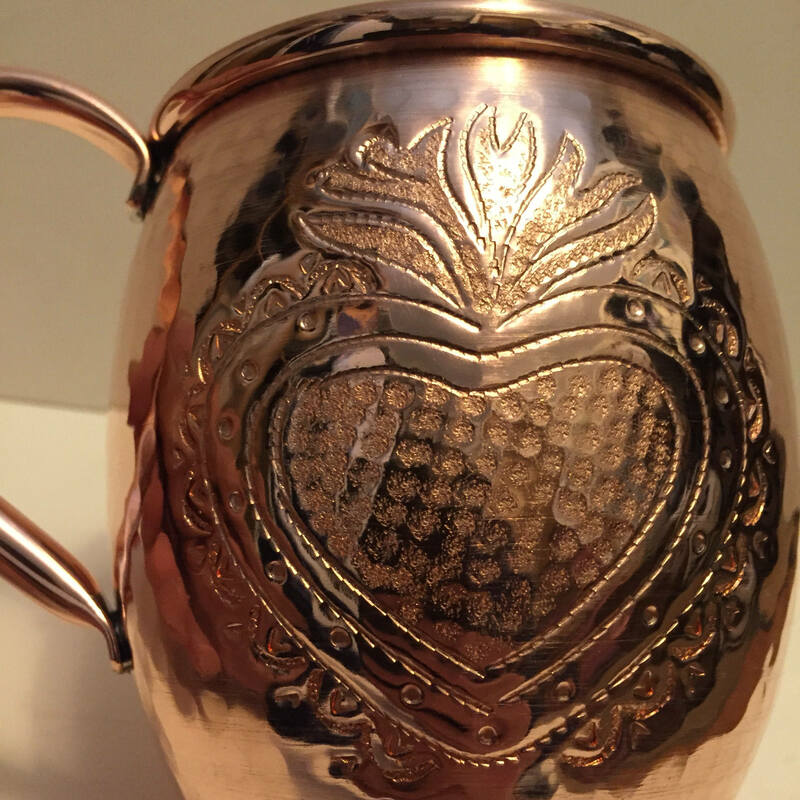 Hand engraved Milagro Heart logo. 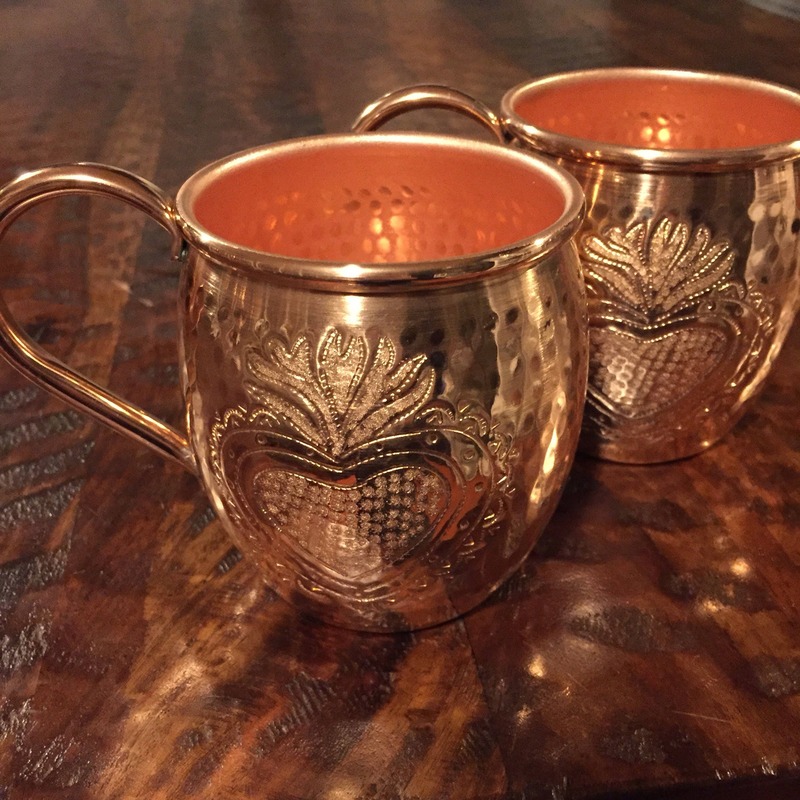 This listing is for two mugs. 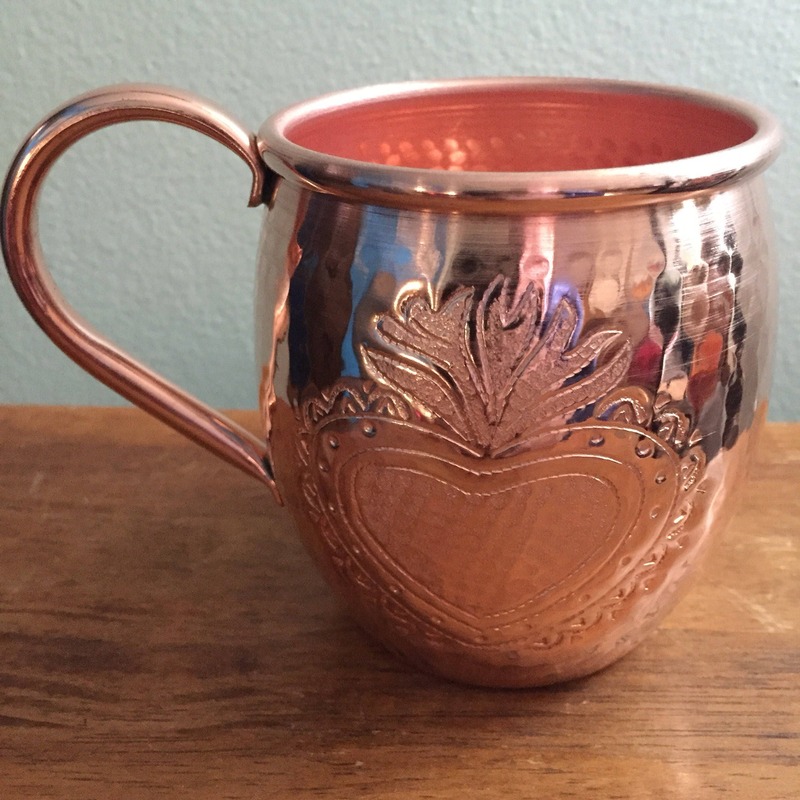 I really love the Milagro Heart design. 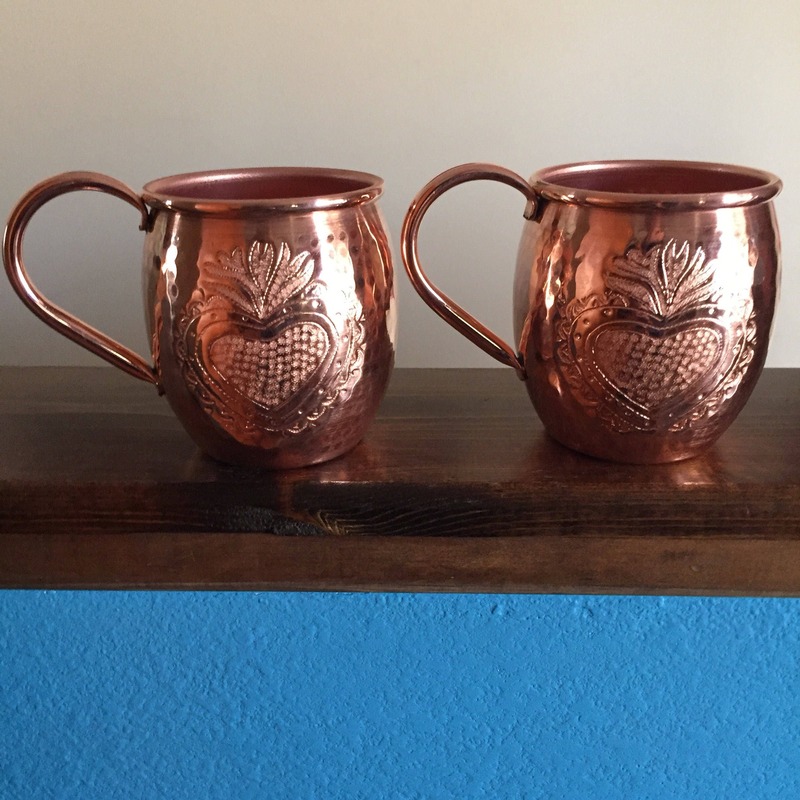 Jon and Penelope were so responsive when I asked if they could make the 16oz barrel mug with this design. 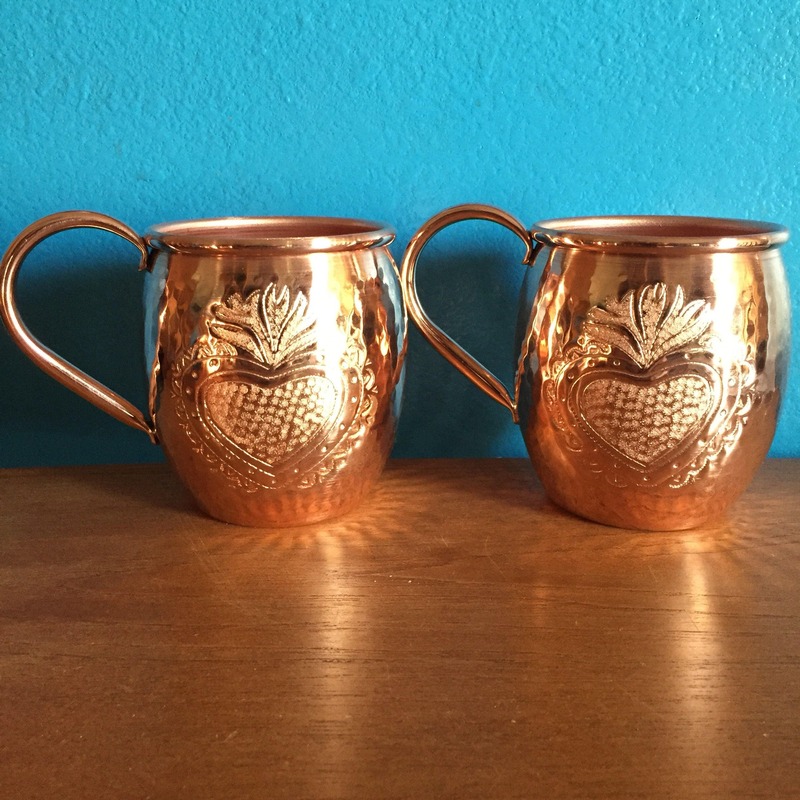 These mugs are terrific in every way!